Free Simulation Software For Education. Are you an Educator or a Student looking for simulation? Simcad Education is a free simulation software for the purposes of education and self-education. Simcad education license is being used by many educational institutions around the world to improve and advance simulation awareness and applications. Why download Simcad Pro simulation software? Simcad Pro Educational license is available for educational institutions and students. The Simcad Pro Educational license is a fully enabled license with all features enabled without limitations. Educational licenses are provided with lifetime upgrades with no additional fees. Simcad Pro Educational simulator is provided for FREE to all High Schools. For educational licensing inquiries, please fill out the form below. About The Author: With more than two decades of relevant experience up his sleeve, Adra is a veteran of simulation technologies who has always been fascinated by the sheer capabilities of this technology. His pioneering work and experience reflects on the Innnovative patents that CreateASoft holds today. Adra has also authored a book, 'Success with Simulation', in the light of his experience in the field. “I have seen projects fail, and companies having high hopes yet, getting nowhere. 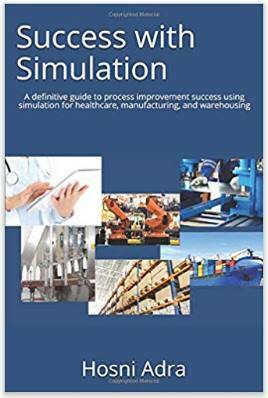 I’ve seen a lot of successes as well; the book essentially help people to be successful with simulation,” adds Adra.